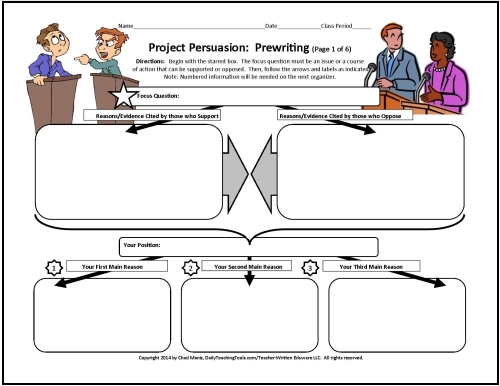 The free graphic organizers that I offer on this page come from the collection of 50 More WRITERizers, the successor of 50 WRITERizers, which has generated loads of interest over the last couple of years—thanks to you and our colleagues. I truly believe that this newer collection breaks completely new ground. I just simply haven’t seen anything ANYWHERE that is anything like what you are about to see here. 4 structured sets of numbered, sequential pages. 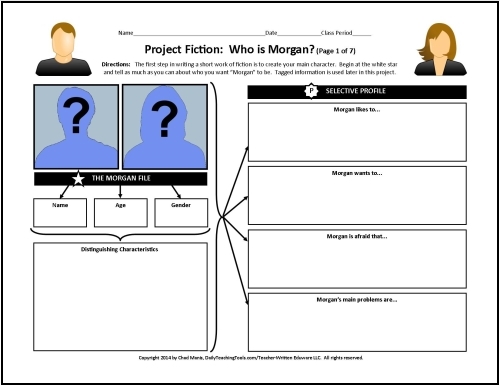 tagged information that students reference and transfer to related organizers. 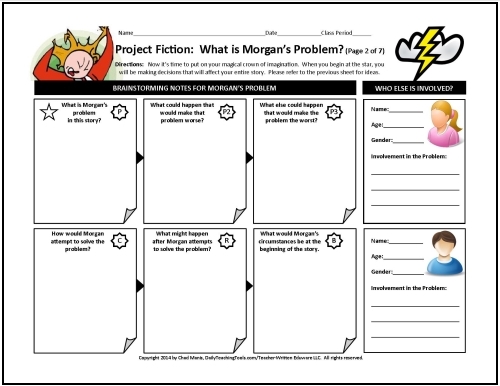 a series of manipulatives used to construct 7 individual, common-core-based, writing projects. 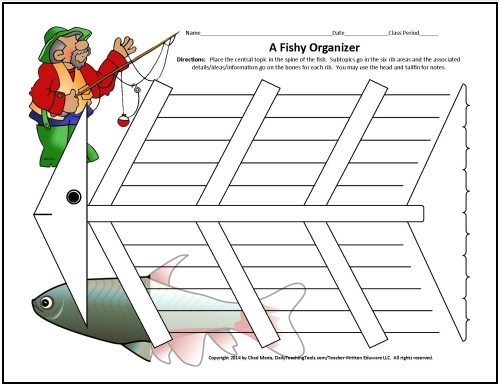 What follows below is the first of four sets of sequential organizers included in this collection. Although the screenshots you will see here have been reduced in size and somewhat in clarity, I think you'll be able to see the main headers, labels, and overall design fairly well. 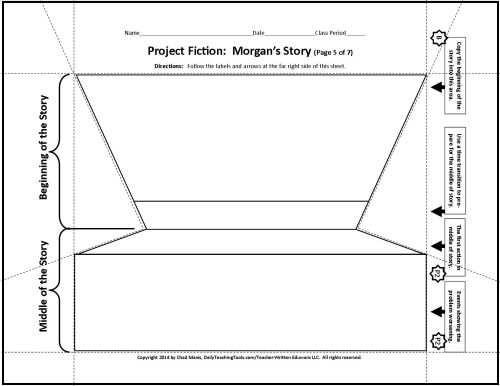 Tagged boxes of information are reference points for students as well as markers for information that will be transferred to related organizers later in the series as they are completed. 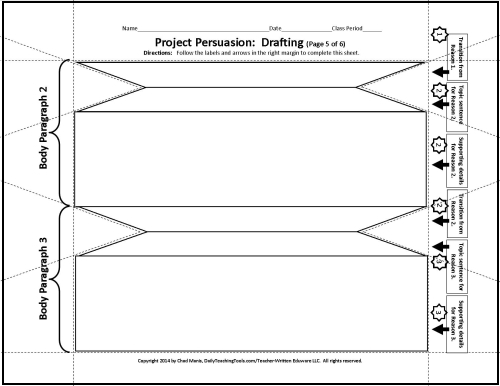 After students cut along the dotted lines provided on several of these organizers, they will have a complete, structured, first draft of their essay, suitable for display on standard poster board. More about that is coming further down the page. 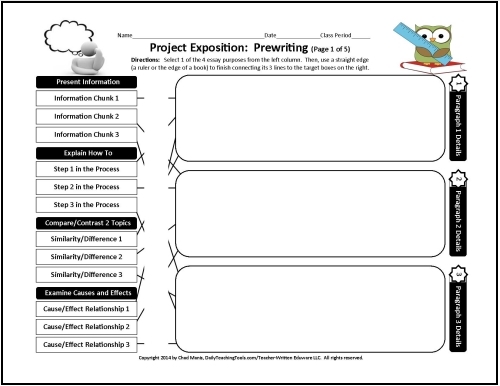 The following 3 organizers could be used independently to narrow a writing topic and to explore central idea, related ideas, and their supporting points. They could also be used in conjunction with Project Exposition. The five organizers in this series form Project Exposition. 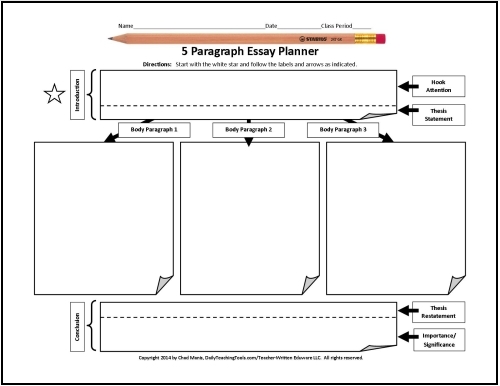 As you will see, the cut-out manipulatives are structured in the same way as the other essay types, simply because structure does not change based on essay purpose. 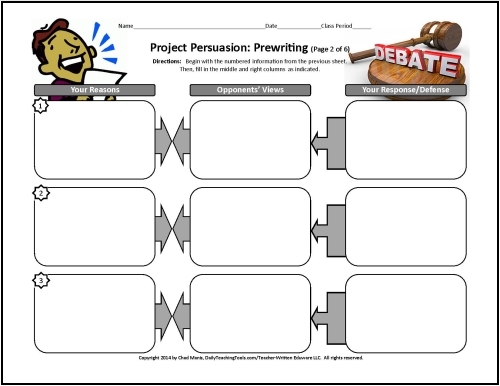 When students use the first organizer in this series (shown immediately below), they will be constructing their OWN assignment by selecting 1 of the 4 types of expository essays shown. And, all they will need is a straight edge! 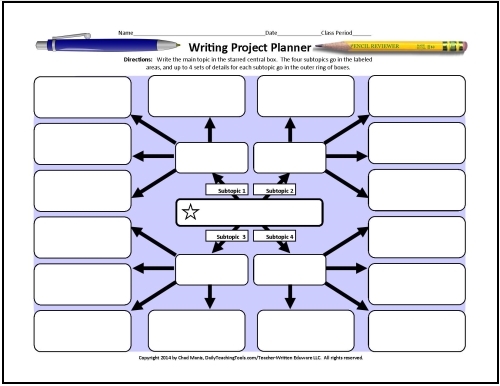 The three organizers shown in this section could be used for general writing planning. 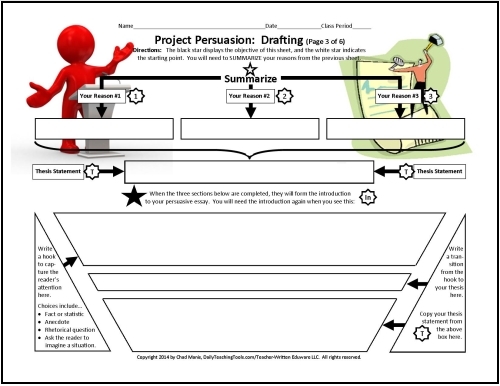 The first one, shown immediately below, depicts the entire 5 paragraph essay format on one sheet. 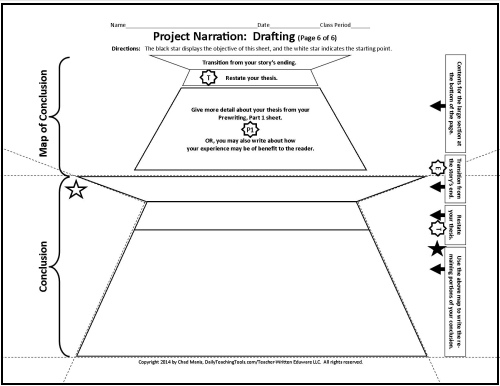 Although writing room is at a premium here, this would be a great prewriting activity. 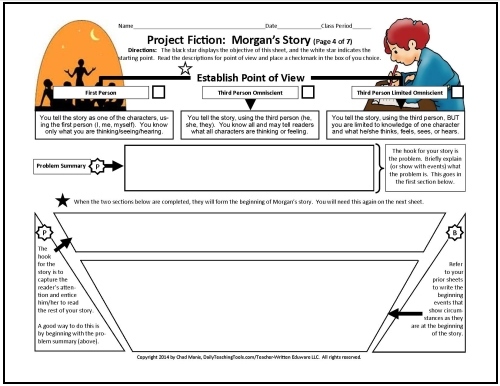 Morgan is whoever beginning writers of fiction want their main character to be. 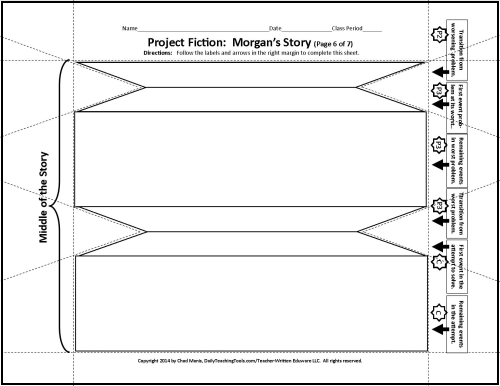 Even though there are tons of ways to tell a short story, they all still have a beginning, a middle, and an end—these are reflected in the manipulatives for this project. 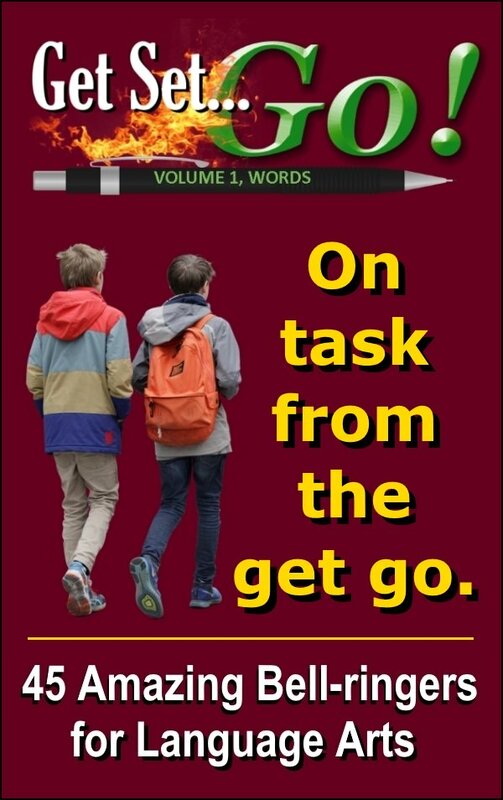 With its suspenseful episode as the hook, and encouragement to build rising action, this series of organizers should put young writers well on their way to building their first short story. 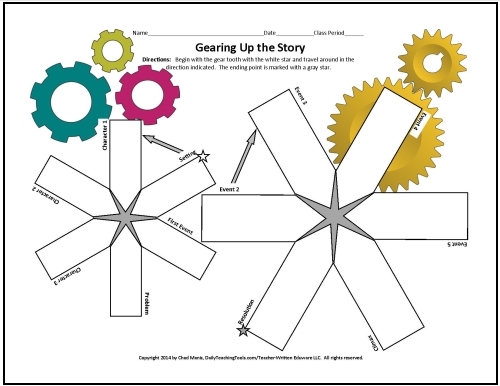 The first planner presented below includes all of the “gears” of the story on one simple sheet. 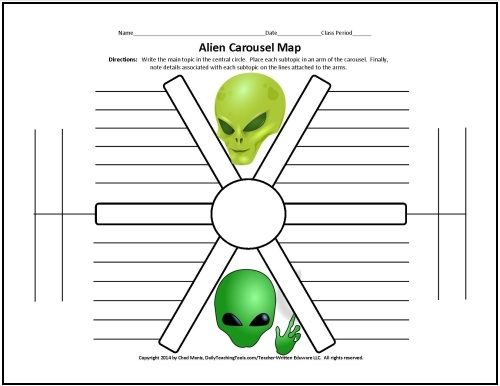 Once again, space is at a premium here, but students should find this to be a great story starting point. 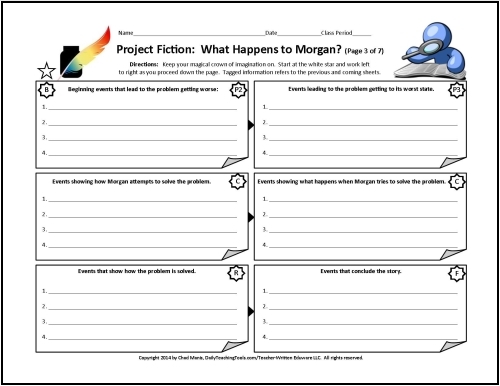 The second one is aimed at sequencing the events of a story—there’s room enough on this organizer for 10 main story events. This final project is the last of 4 sequential sets of organizers included in this collection. 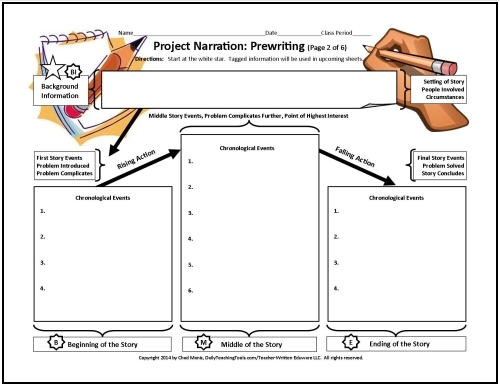 The first prewriting sheet drills down into the importance of the student’s personal story/experience, and the second one encourages the development of the story itself. 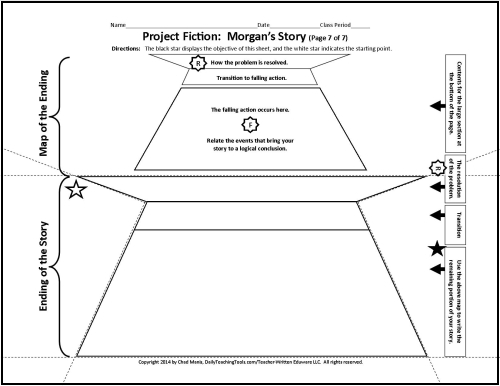 Again, the structure is the same, but the labels and markers pinpoint the personal narrative. 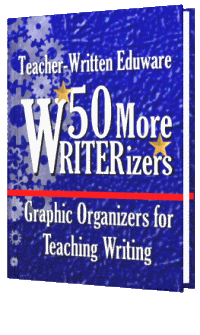 50 More WRITERizers comes with 18 customizable graphic organizers, presented in the brief slideshow below. 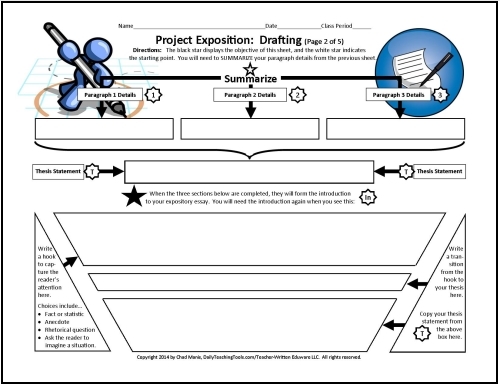 The blue shaded areas show where you may type the titles, directions, labels, and information that best suit your needs. 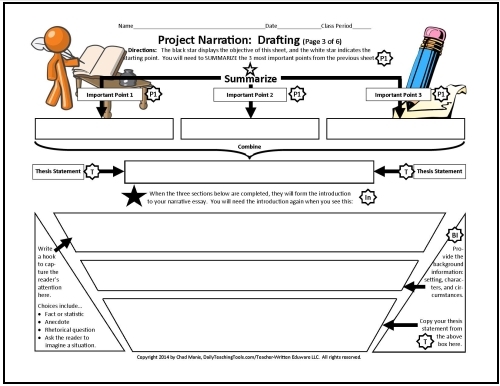 Included in this set of 18 are all 4 cut-out, essay manipulatives so that you may tailor a composition that specifically targets your instructional goals. Additionally, when the mouse pointer passes over each of these shaded areas, a tool tip will pop up briefly, indicating an area where you may type. The clickable table of contents and the thumbnail index pages will hopefully make it easier for you to quickly and easily locate precisely the organizer you’re looking for. The following 10 free organizers from this collection are available for immediate download, and they will ALL work on both Windows and Mac. 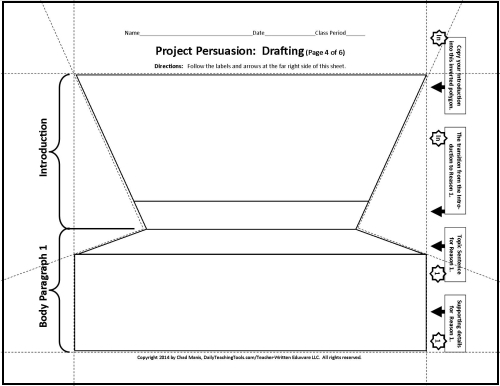 As you can see, there are 6 organizers that are ready to go "straight out of the box," and another 4 that you may customize to suit your needs. 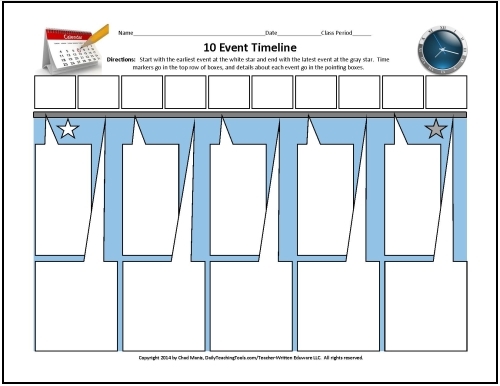 If you would like these 10 organizers PLUS the other 40 presented on this page, you may want to grab the full collection! With the sequential sets of organizers along with their tagged information, this collection may very well be one of a kind. Whether or not this is true makes no difference to me. 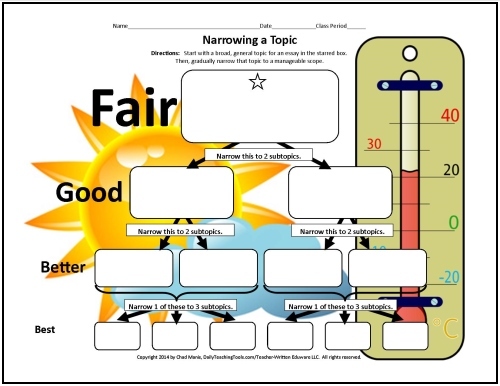 What DOES make a difference is what you, the teacher, have to say. How can these be improved? What else do you need? 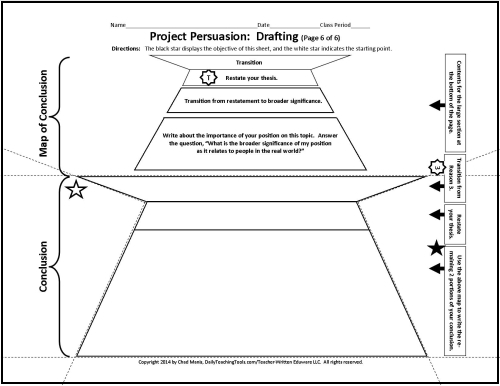 How can I more adequately serve the needs of your kids? 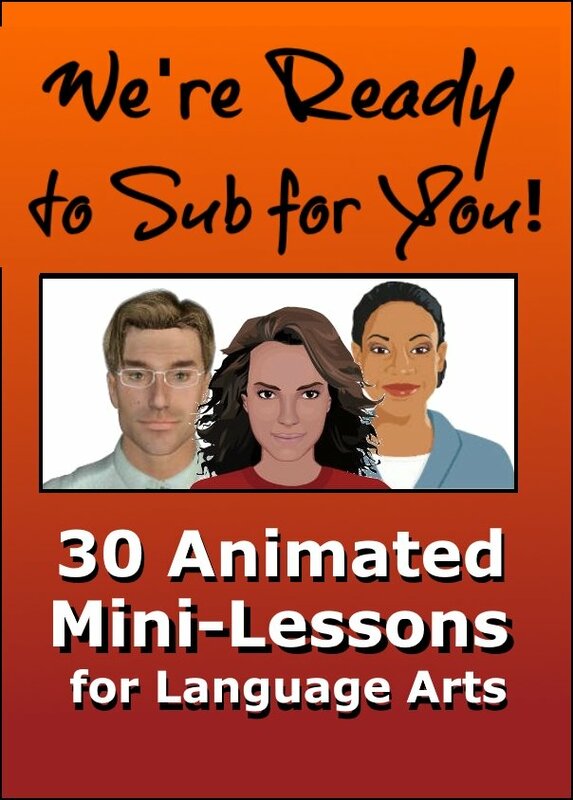 Originally I had planned only 3 titles for my “-izers” series, but the originals were so well received that I decided to develop additional ones. As you might have guessed, there are more collections in the works. Please stop back again soon to see what’s available! 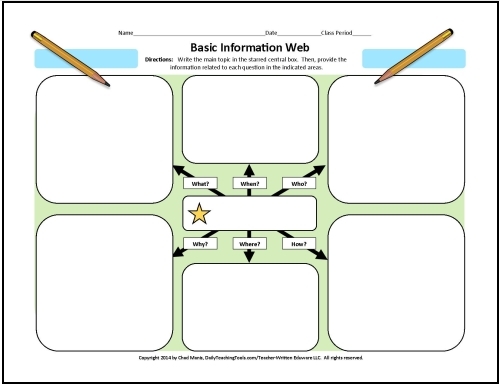 Return to Daily Teaching Tools Home from Free Graphic Organizers.